On 1 July 2017 significant changes are coming to superannuation. While the changes are wide-ranging, most relate to the super contributions cap. That is, how much you’re allowed to put into super to take advantage of the generous tax environment super offers. In particular the reductions to the non-concessional contributions (NCC) cap (contributions you make to super with your after-tax dollars) are significant and with that a window of opportunity has opened up prior to 1 July 2017. It is to contribute to your superannuation this financial year under the current NCC cap of $180,000 or $540,000 (using the current bring forward rules). If you are under 65 and haven’t already triggered the ‘bring forward’ rules you can contribute up to $540,000 this financial year without breaching the NCC cap - $240,000 more than is permitted after 1 July 2017. Are you are expecting to receive a large sum of cash, such as an inheritance or proceeds from a divorce? 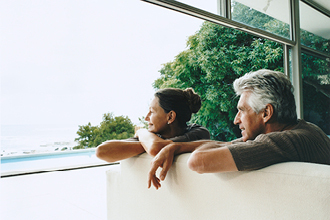 Are you an expat who is thinking about moving back to Australia in retirement? Have you been thinking about selling an investment property? Whatever the situation is, if you do have the means to take advantage of the current NCC cap then now is the time to start thinking about it. The super changes are complex and everybody’s circumstances are different, so you should speak to a professional financial adviser. Talk to us today to find out how you can make the most of your window of opportunity.